Looking for a quick easy solution to keep the sun out while letting the breeze in? Dirtydog 4x4 has the answer for you. Dirtydog 4X4 Sun Screen Tops are an easy on and off durable heavy weight screen that does not need to be removed to install your hard or soft top. 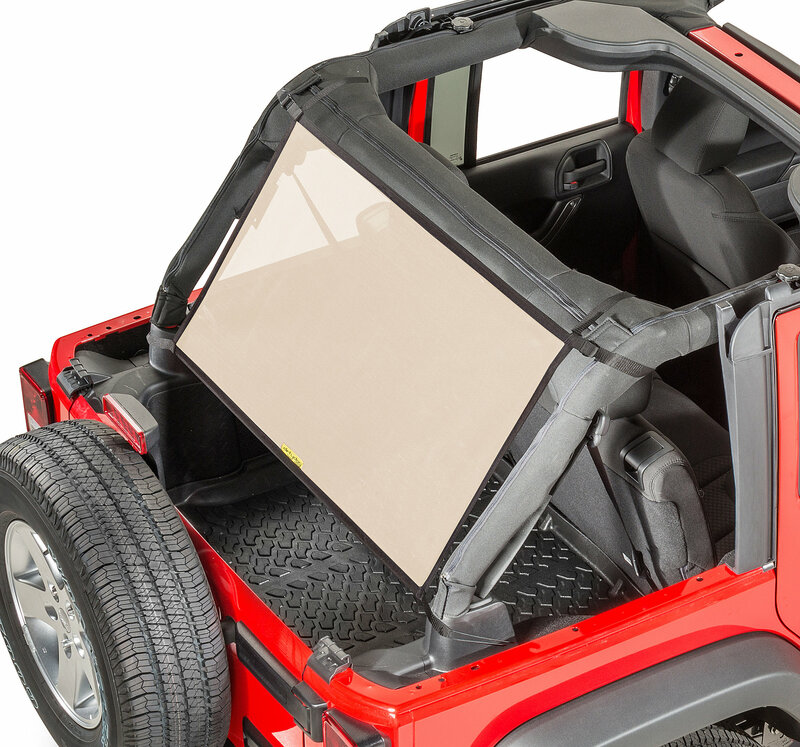 Designed to eliminate glare and keep 70% of the harmful UV rays out while still allowing open air riding. 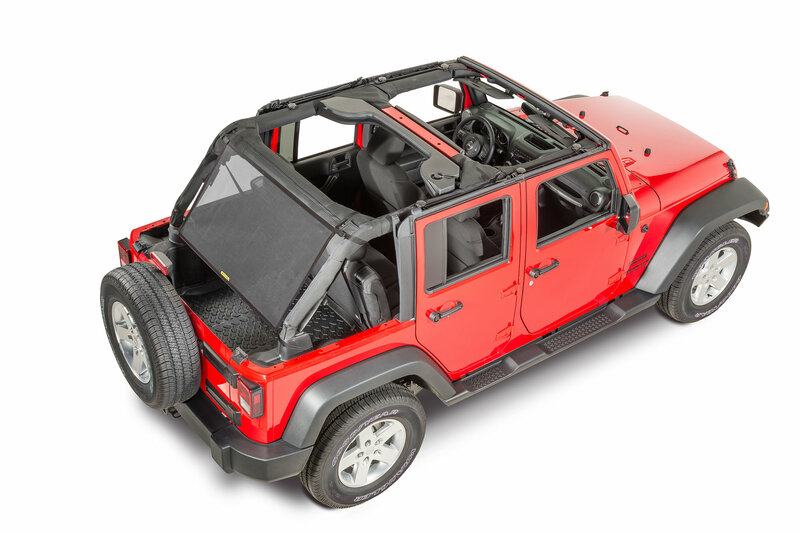 The Dirtydog 4X4 Sun Screen Top installs easily without the need for a header bracket. The Cargo Screen option can be be used on it's own or added to the other screen options. No special tools required for installation. Haven't received yet because "mfg backorder". I ordered the top in white and wanted blue for the back for a red (JK 4 door) white, blue look. I was sent full all white top and back. Quality is good though.